Why Choose the Motorola Moto G6 Play? 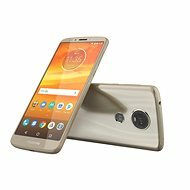 The renowned mobile phone brand is introducing the new G6 Play model. The phone has a 5.7” IPS LCD HD resolution screen with a durable and lightweight aluminium frame. The eight-core processor along with the fast memory ensure that the Android 8.0 operating system and all the apps run smoothly. And the fingerprint reader provides secure access to all your apps and data. You can also look forward to the high-capacity microSD card, Dual SIM, GPS, LTE and NFC features. The Motorola Moto G6 Play features a powerful 8-core processor. It smoothly runs the Android 8.0 operating system with 3GB memory support. Watch films and TV series on the large 5.7" LCD IPS display protected by durable Gorilla Glass 3 technology. Thanks to the HD resolution, you'll enjoy every shot of your favourite movies or TV shows. Another reason for choosing this smartphone is its remarkable camera set. The primary camera has 13Mpx resolution, and there's a 8Mpx secondary camera. The camera also responds to touch focusing on a particular point on the screen, features face detection, and can even handle automatic panorama or dynamic HDR shots. You'll also enjoy the high definition video recording feature. The Moto G6 Play can record videos in Full HD at 30fps. A proper smartphone needs to have all the necessary modern technology, and the Motorola Moto G6 Play is no exception. In addition to standard WiFi, Bluetooth and GPS (enhanced by A-GPS), it also supports LTE, which is the fastest mobile internet connection format. The phone is additionally enhanced with a dual nano SIM card slot. It also has NFC support and WiFi hotspot features. If the 32GB of internal storage isn’t enough, you can add a microSD card and expand the storage capacity up to 128GB. And the built-in fingerprint reader protects all your sensitive data. The phone also has a high-capacity battery that can last charged up to two days. Specifies the type of memory card that can be used to increase a device's capacity. Indicates the maximum capacity of a memory card that can communicate with the device, according to the manufacturer's specifications. Face Unlock, Quick charging, FM Radio, OTG, Fingerprint reader on body Done! Indicates the distance between the upper left and bottom right-hand corners of the display, measured in inches. 5.7 " (14.48 cm) Done! Specifies the number of points (pixels) that can be displayed on the screen. IPS, or In-Plane Switching, often also known as Super TFT, is a type of LCD display technology. It offers an excellent quality-price ratio, natural colours, low power consumption, and wide viewing angles up to almost 180 degrees. It expressed in megapixels and has a profound effect on the resulting image quality when displayed on the screen and in print. 1920 × 1080 (Full HD) Done! Flash function, Artistic filters Done! Phase-detection autofocus, Auto focus Done! The frequency expresses the speed at which the processor can process instructions. Increasing the processor frequency usually results in increased performance. While multi-core processors tend to be lower individually, they can still be more powerful in optimised programs. Contains a list of individual ports that are used, for example, to charge the phone, connect headphones, or sync with a computer. Jack (3.5mm), USB micro Done! Dual SIM + card Done! LTE (4G), HSPA, UMTS/CDMA, EDGE, GPRS Done! WiFi, Bluetooth, GPS, GLONASS, A-GPS, Beidou Done! Motion sensor (accelerometer, G-sensor), Gyroscope, Light sensor, Proximity sensor Done! 800MHz, 900MHz, 1800MHz, 1900MHz, 2100MHz, 2600MHz Done! Indicates the size of a phone's second SIM card. Secondary SIM cards often have smaller dimensions than main SIM cards, and for some phones it is only possible to insert the secondary SIM if you remove the memory card. 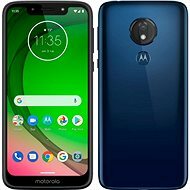 For shipping to other EU countries visit this page Motorola Moto G6 Play Blue. 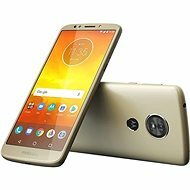 Für Versand nach Deutschland, besuchen Sie bitte Motorola Moto G6 Play Blau. Chcete doručit zboží do Česka? Prohlédněte si Motorola Moto G6 Play Modrá. Chcete doručiť tovar na Slovensko? 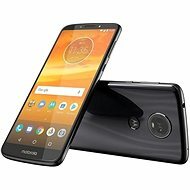 Prezrite si Motorola Moto G6 Play Modrá. 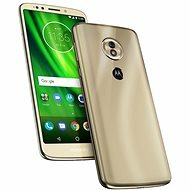 Für Versand nach Österreich, besuchen Sie bitte Motorola Moto G6 Play Blau. Magyarországra történő kiszállításért tekintse meg ezt a termékoldalt: Motorola Moto G6 Play - kék.